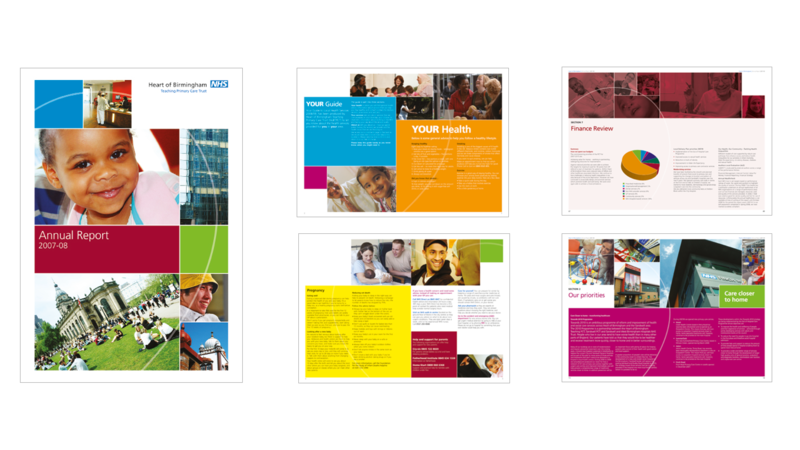 Bang worked with Heart of Birmingham Teaching Primary Care Trust to improve its visual positioning and the quality of its communications materials. The Trust had a range of challenges specific to the area it covers which includes some of Birmingham’s poorest, most deprived neighbourhoods as well as the affluent, vibrant shopping and business districts in the city centre. The Trust provides healthcare services for around 300,000 people, seven out of 10 of whom are Black or Asian. 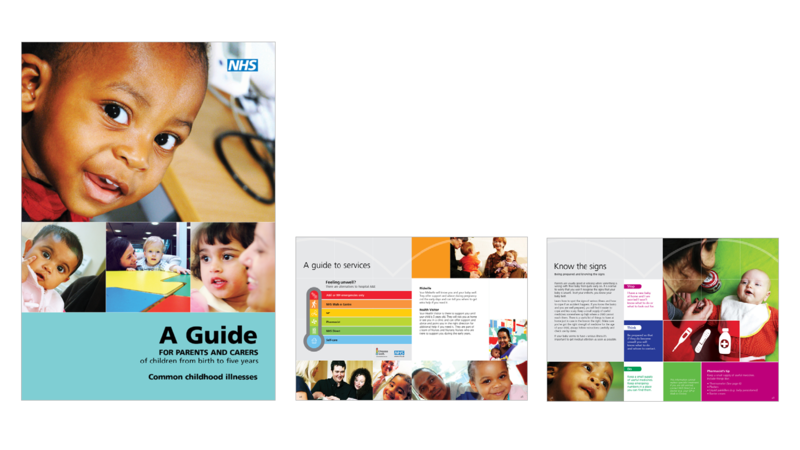 Bang developed a visual framework that was flexible enough to be tailored to promote key messages to its diverse audience, yet at the same time maintain a family feel across the range. 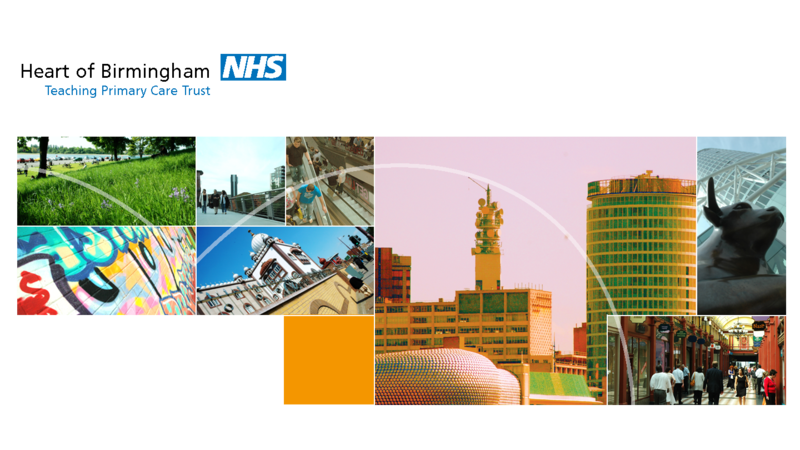 Projects included their Annual report and a ‘Guide for patients’ that was dropped through the door of every resident of Birmingham, plainly explaining and signposting all the services available in the region.